A year ago, January 30th 2014, was the deadline for all commercial drivers to have submitted a copy of their current medical card and self-certification affidavit to their State Drivers License Agency. Each State has its own process for collecting this information and getting it into the Commercial Driver’s License Information System (CDLIS). The goal is that all information would be online, and commercial drivers would no longer need to carry a paper copy of their medical card. Federal Motor Carrier Safety Administration had hoped that this goal would be achieved by January 30, 2014, but many SDLAs were not yet ready, and the date was extended to January 30, 2015. Since May 21, 2014, medical examiners have been updating the National Registry electronic system with medical certificate information. But commercial drivers are still personally responsible for getting this information to their State Agency. Based on the update below, it would seem that the system between the National Registry and the State Agencies is still not complete. So drivers cannot rely on the CDLIS as proof of having a current medical card. Medical examiners must continue to issue paper copies of the medical certificate to drivers who pass the medical exam. CONTINUE TO CARRY A PAPER COPY OF YOUR MEDICAL CARD! Even if the systems were completely in place, it’s still not a guarantee that some information didn’t fall through the cracks. So the best way to protect yourself is to continue to carry a copy of your medical card at all times. My husband got pulled over for a DOT inspection, he had his paper medical card however they gave him a citation for his medical card not showing up on the state registering system. His card is current and he showed the officer however he refused to accept this. we now have to pay 150.00 fine. is this right? is there any recourse? Either you or the CME should have registered the new medical card with the state. The last time I got my DOT physical, the doctor issued me my card as usual, but for some reason when I went to the DMV to get my new license with my “S” endorsement, the license came out with a “K” restriction on it, which I see means “intrastate only.” This was not what I had applied for, and if I read my medical card correctly, this was not what the doctor filled out. I think that someone made a mistake entering the data from my medical certificate into the database somewhere. –Any idea whom I would contact to get this straightened out? I very seldom drive out of state anymore, but would still like to be able to if needed. If the boxes on your medical card are not marked as intra-state only and you have a medical card for the federal standards, then you need to check with your local drivers license department. Make sure which medical card you have, state or federal. So you want to lie on the federal medical examination? When all you need is a medical release form from your prescribing doctor explaining the need for the meds. Then it is time to go somewhere else for a second opinion. I am on chemotherapy for cancer and know I can’t drive commercially (I’m on disability from work right now.) I also had to switch my CDL from TX to AL the first week of 2016 (having changed my residence to AL for 2016.) Additionally, my medical card expired just two weeks after I applied for my AL CDL. I had my medical exam, the doctors noted on the long form that I am temporarily disqualified due to the chemotherapy, and they set my re-examination date for mid-July. I faxed (and also sent by priority mail) this medical long form to the CDL unit of the Alabama Department of Public Safety so they both (fax & priority mail) arrived prior to my original med card’s expiration date. MY FIRST QUESTION: Since I am unlikely to be able to medically re-qualify prior to July, and AL only gives you 45 days to submit a passed medical exam prior to “removing” your CDL privileges, does this mean AL will take away my CDL completely so I have to start from scratch (training and exams, like a newbie) again to re-obtain it? (I’ve been driving for eight years.) Or do they just inactivate my CDL privileges until my medical status permits me to again pass the examination? MY SECOND QUESTION: My employer (a major freight-hauling company) is demanding the medical card, not just the long-form medical examination form, even though they know my current leave status is due to chemotherapy, . The doctor insists he can’t give the card unless I’ve passed. Any idea what to tell my employer? Question 1. You need to talk to the drivers license department in your state and explain your situation. They may be able to put your stuff on hold for now. Question 2. You will not pass as a fit for duty to operate a CMV, so there will be no medical card. That’s kind of an end of the subject. Don’t have any idea why an employer would persist in demanding something that you are going to be unable to produce. Just give him the cold hard facts and let him know that the moment you have a medical card, he’ll get a copy. Go healthy and go somewhere else for your next examination for a second opinion. You should be alright. My drivers are doing what is required by state law marying up MEC & DL at the DMV office. The state is not updating in a timely manner. Is there a website to check for this status? The process differs state by state, so the state Drivers License Department is the only place to check this process. As long as you have your diabetes under control at this time you won’t have any problems. Just make sure you take a medical release from from your doctor with you to the examination, that will answer many of the examiner’s questions. I received a letter from the Texas Dept of Public Safety with a “Downgrade Notice”. I was out of the country and forgot to send my CDL-7 and Medical Certification on time. Is there a way to reinstate by mail, if I submit a medical certification and CDL-7? 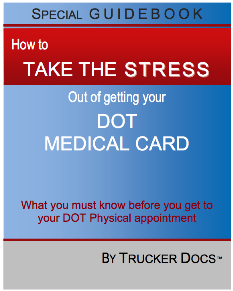 See Texas CDL and DOT Medical Card Requirements. My health card lapsed June 2014. What am I required to do in order to get my Class ‘A’ with endorsements back? You’ll need to contact your State Drivers License Department to get your questions answered, and take care of this. Each state has different regulations. 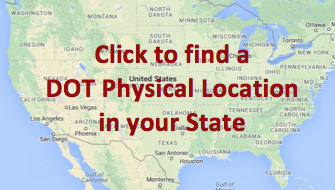 See info about Oklahoma DPS.